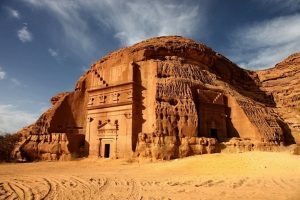 As Saudi Arabia continues to forge ahead with openness, the government approved plans to issue tourist visa for the first time to foreign holidaymakers. No date has been announced for the launch of the move. According to press reports, in the first phase of the new policy, tourists can only acquire visas through authorized tour operators. The new initiative is part of the kingdom’s tourism target to attract 1.5 million tourists a year by 2020 from 200,000 today excluding Umrah and Haj pilgrims. Currently, the kingdom only issues visas to pilgrims, business people with a local sponsor and family members of residents. In its strategic plans to diversify the economy and end dependence on oil revenues, the Kingdom has set eyes on a number of areas including tourism and entertainment. A new mega plan to develop tourist resorts on 34,000 square kilometres of islands between the cities of Umluj and Al Wajh was unveiled in August with initial capital to be allocated by the country’s Public Investment Fund. Foreign investors are expected to inject funds in the project. English investor Richard Branson is among the first investors. The plan could generate around 35, 000 jobs after completion.